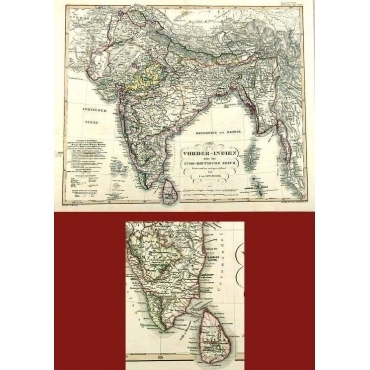 Antique Maps South Asia or Southern Asia. 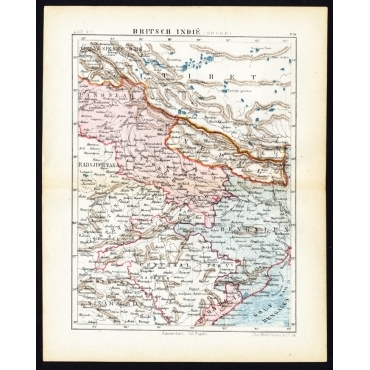 Bartele Gallery offers a wide collection of antique maps of South Asia. This region is also known as the Indian subcontinent. 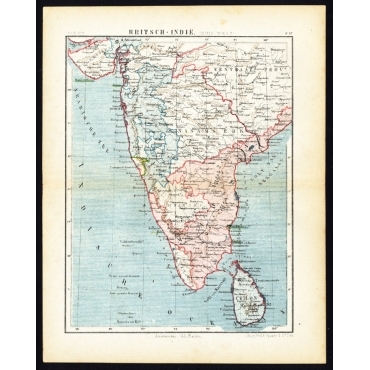 Our collection antique maps of South Asia includes antique maps of Afghanistan, antique maps of Bangladesh, antique maps of Bhutan, antique maps of the Maldives, antique maps of Nepal, antique maps of India, antique maps of Pakistan and antique maps of Sri Lanka. Antieke kaarten van Zuid-Azië. Bij Bartele Gallery kunt u terecht voor een grote collectie antieke kaarten van Zuid-Azië. Deze regio is ook wel bekend als het Indisch subcontinent. 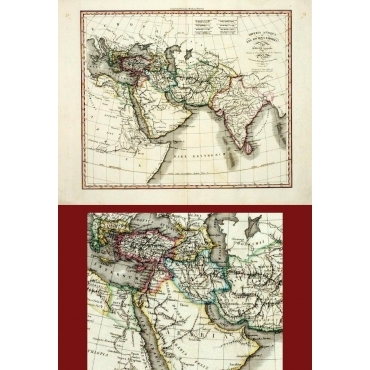 Onze collectie antieke kaarten van Zuid-Azië bestaat uit antieke kaarten van Afghanistan, antieke kaarten van Bangladesh, antieke kaarten van Bhutan, antieke kaarten van de Malediven, antieke kaarten van Nepal, antieke kaarten van India, antieke kaarten van Pakistan en antieke kaarten van Sri Lanka. 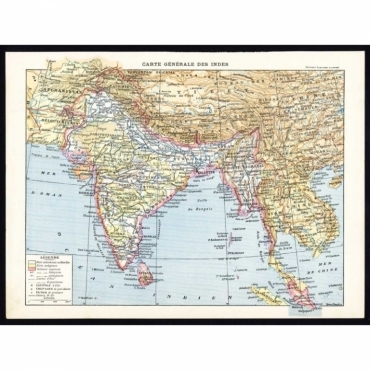 Antique Maps | South Asia There are 84 products. 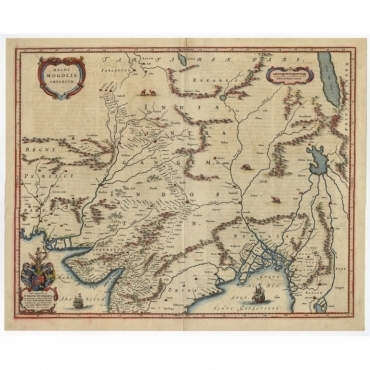 Map: 'Carte de la Perse, de la Georgie, et de la Tartarie Independante'. (Map of Persia, Georgia, and Kazakhstan). This map shows current days Georgia, Iran, Irak, Kazakhstan, Armenia, Azerbaijan, Afghanistan, Turkmenistan, Oezbekistan, Tadzjikistan, Kirghizia and Tibet. 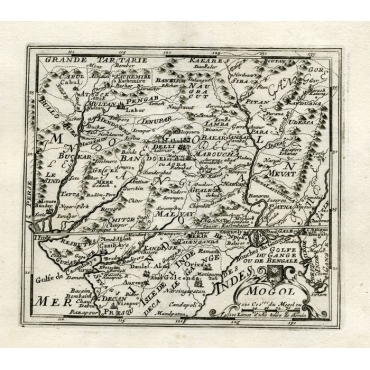 Map: 'Royaume de Grand Mogol (...).' (The kingdom of the Great Mogol / Mughal.) 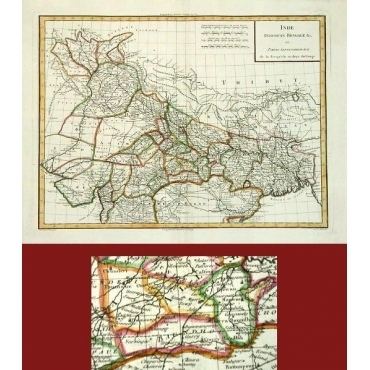 This map hows the extend of the Mughal Empire, which includes northern India, from Golconda to Afghanistan and eastwards to Bengal. Decorative cartouche with VOC merchants and Mughals. Extremely rare in this edition. 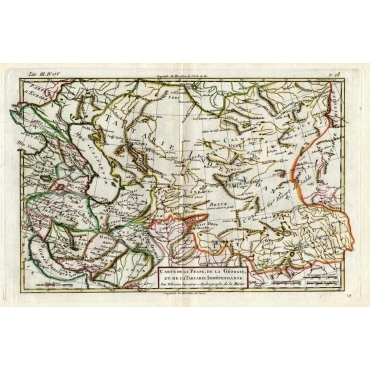 Map: 'Koninkryk van Guzaratte met d'engte van Cambaya (...) door den hr. I.B. de Lavanha beschreven. - Le Royaume de Guzarate avec te Golfe de Cambaya (...).' (The Kingdom of Gujarat in West-India with the Street of Cambaya according to methods of the Portugese Jaoa Baptista Lavanha.) Extremely rare in this edition. 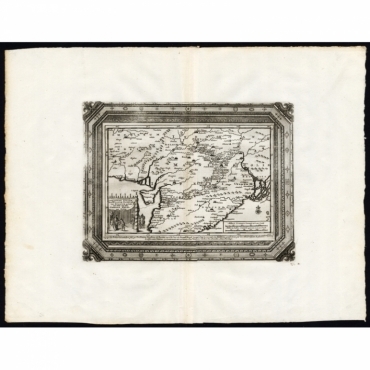 Map: 'Oost-Indize Voyagie door William Hawkins van Suratte gedaan na 't Hof van den Grooten Mogol tot Agra. 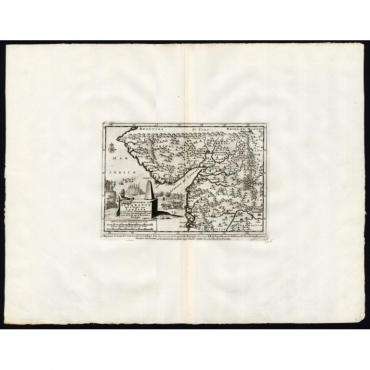 - Voyage des Indes Orientales fait par Guillaume Hawkins de Surate vers le Cour du Grand Mogol jesqu'a Agra (...).' William Hawkins expedition to visit the court of the Grand Mogol in Lahor. 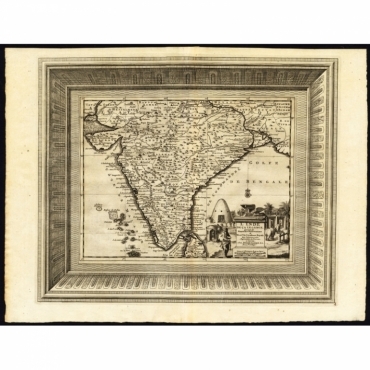 Antique print, titled: 'Indes, colonies Anglaises.' - Large map of the East Indies, British Colonies. A superb, large-scale map of British India, the Chinese Empire, Indochina, the Malay Peninsula, and parts of Sumatra and Borneo. 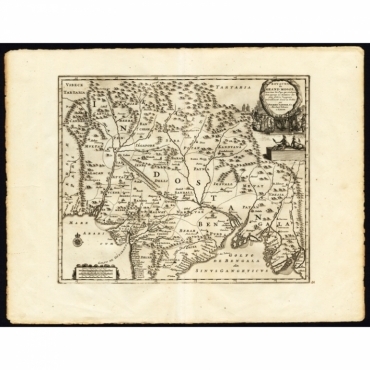 Antique Map, titled: 'Indien & Inner-Asien, Nordliches Blatt.' - A map of the south western part of Asia, from Punjab in the lower left corner to Mongolia in the top right corner and Tibet and Bhutan in the lower right. Modern Tajikistan and Kyrgyzstan in the top left corner, with part of China in the middle of the map. 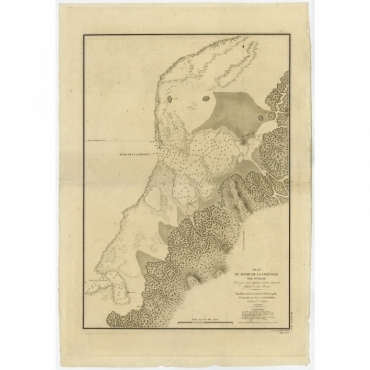 Antique map, titled: 'Plan du Havre de la Coquille (Ile Oualan).' - Large and detailed map of western the coast of Oualan island (Kosrae), an island in Micronesia.